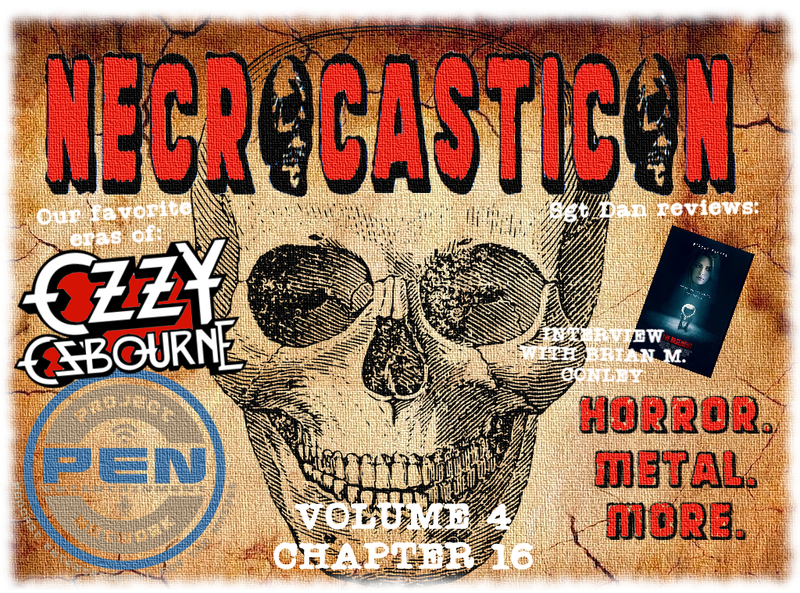 Volume 4 Chapter 16 of The Necrocasticon goes to The Basement... as Sgt Dan reviews the newest horror film from Uncorked Entertainment. Plus we talk to Brian M. Conley, co-writer/director/producer of the film some are calling Split meets SAW. Volume 4 Chapter 15 of the Necrocasticon returns to welcome our new permanent panelist! Dan Roberts joins Tom, Scott & Walt to fill a gap that needed filling. The Necrocasticon goes on the road this week with highlights from two of the hottest metal tours traveling across the nation. Tom went to see Black Label Society, Corrosion of Conformity and EYEHATEGOD in Syracuse, plus he got to talk to vocalist Mike IX and drummer Aaron Hill from the band! Volume 4 Chapter 13 of the Necrocasticon comes to you live from Scares That Care 2018! We have a special panel for you featuring Tom & Liz with Mike Duke and Lucas Milliron... and an appearance by our movie reviewer, Skip Novak.